Anyone who posts videos on YouTube has the ability to create their own branded channel. You can think of it as a TV station that's all about you, whether you're Taylor Swift or 12-year-old with a webcam. Peter Redford wants to make it easy to extend those channels even further into the world of mobile devices. Redford is a Silicon Valley entrepreneur who developed the concept of the 2nd screen, software that lets a mobile device interact with a TV. Redford's new project is ILOOKTV, a cloud-powered platform that converts YouTube channels into branded mobile "channel apps." In an article posted on the ILOOK TV blog, Redford said he can see the day when TV viewers have access to "thousands, or even millions, of affinity TV networks." 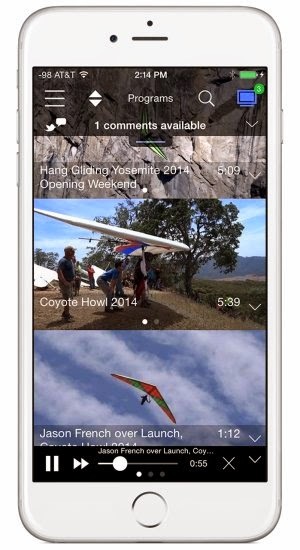 ILOOKTV offers anyone with a YouTube channel to create a branded iOS app (an Android version is in the works). ILOOKTV handles the process of submitting the app to Apple and it provides four options to monetize the channel: subscriptions, advertising, pay-per-view or purchase the app. For a closer look at ILOOKTV, visit the company's website and check out their Twitter feed.